2. Your app has an upload file feature. 3. A user should register on your database before using more features of your app. Go back to eclipse and refresh your project files in the project explorer, now you can see the jar files inside your lib directory. See the screenshot below to visualize the goal of these 5 steps above. How To Post Text Data? How To Post A File? You can use this code to post other file types such as an image. Using AsyncTask to prevent the network on main thread error. To test posting the text data, you must change the actionChoice variable value to 1. Else if you are to test posting a sample file, you must change the actionChoice to 2. Also, don’t forget to put a sample.txt file in your SD card root directory. 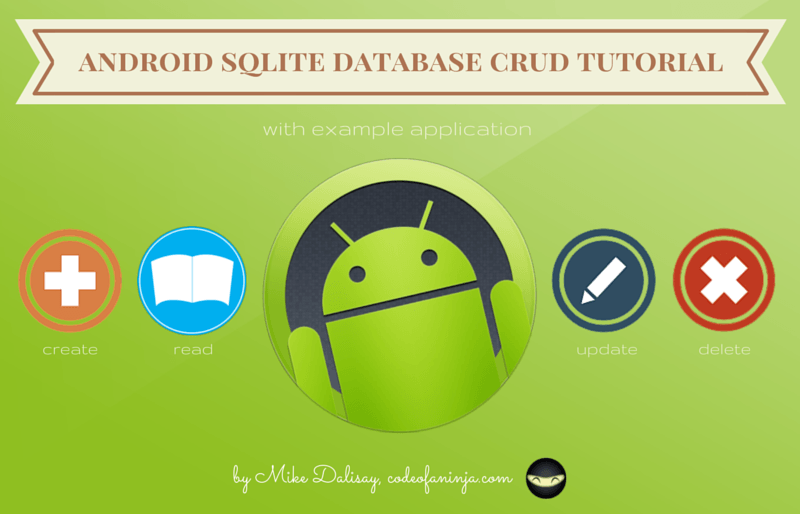 The code above should give you a lot of clue on how to send data from Android to PHP server. But we have few more steps to do, continue to read below. Well, we are just having an INTERNET permission here. 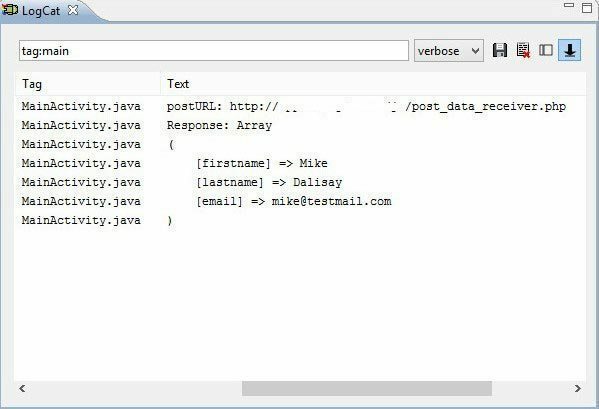 Response is what post_date_receiver.php outputs when it receives the posted data. Posting Text Data. The response array have our key-value pairs. Posting Text File. The response is the content of my sample.txt file. What do you think fo this code I came up with? If you have a better solution about how to send data from Android to PHP server, please let us know in the comments section below! We will add your solution or update this post if it deserves to, thanks! 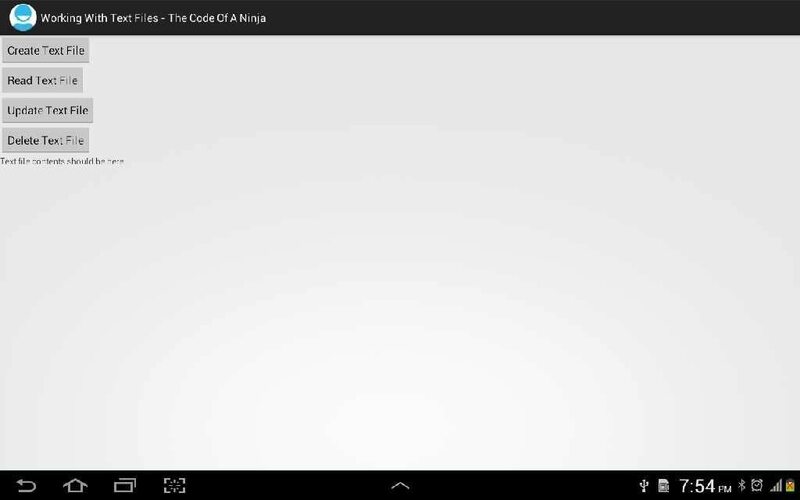 Our code for today will give us an alternative to using the Android spinner. We will show ListView as dropdown in Android. 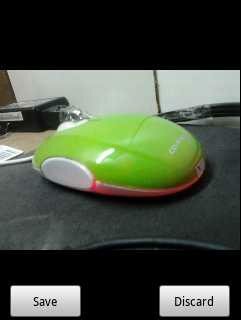 I love how it looks and response to user touch, it feels smoother and faster than a spinner. It can also be easily customized, you won’t have to get stuck with default spinner look. It can be triggered on any view elements such as a Button, Layout, TextView or EditText. In this example, we are going to have a button that when it was touched, it will show a drop-down list of Dog names. 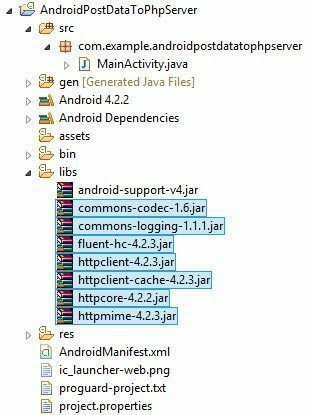 MainActivity.java – shows the button, set the items for the drop down list, creates the pop up window and then show it as drop down when the button was touched. DogsDropdownOnItemClickListener.java – triggered when an item on the drop down list was touched, it will change the text on the button and show a toast with the ID of the selected item. activity_main.xml – Here is the XML layout file we used for the user interface of our example. That’s the solution I got on how to show ListView as dropdown in android. If you have any other solutions or suggestions to improve or rewrite this code, please let us know in the comments section below. 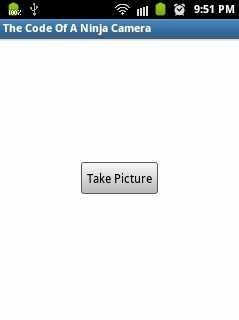 A “Take Picture” button on our main activity, when the user clicks it, the device camera will be shown that will enable your user the take a picture. After taking a picture, the preview of the image will be shown with options to “Save” or “Discard” the image. If the user tapped “Save”, the image will be saved on the directory we specified in our code, else, if the user tapped “Discard”, the device camera will be shown again. If the user saved the image, he will be asked if he wants to take another picture. 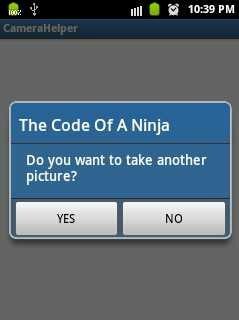 Our MainActivity.java code – This activity will show our “Take Picture” button. Our res/layout/activity_main.xml – The XML layout file for our MainActivity. Our CameraActivity.java – This code does almost all the operations from starting the device camera to saving the image to specified directory. // only to the directory we have specified. 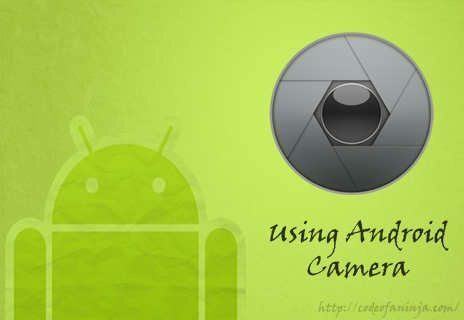 The AndroidManifest.xml code – This will give us permission to use the device camera hardware. 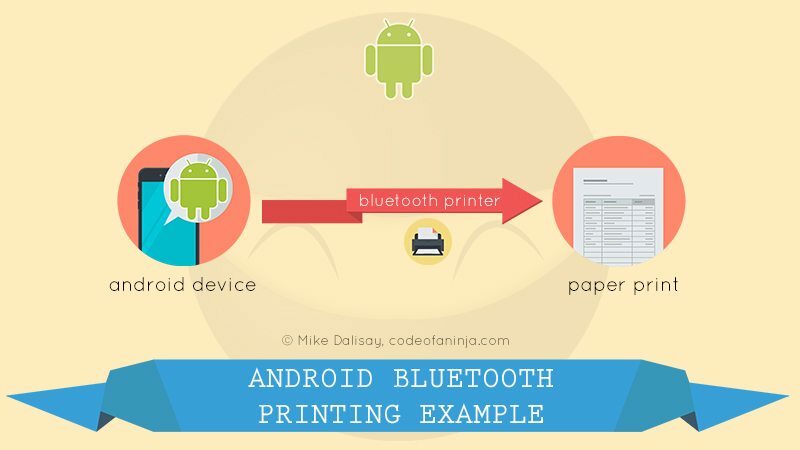 12+ EditText in Android Example Codes, Screenshots and More! Hi guys! 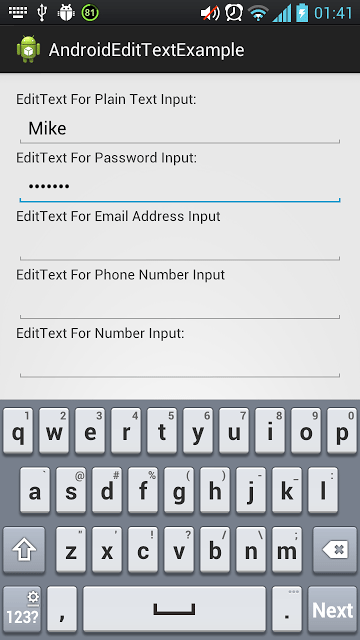 Today I’m gonna show you some Android EditText examples that I usually use in my android applications. 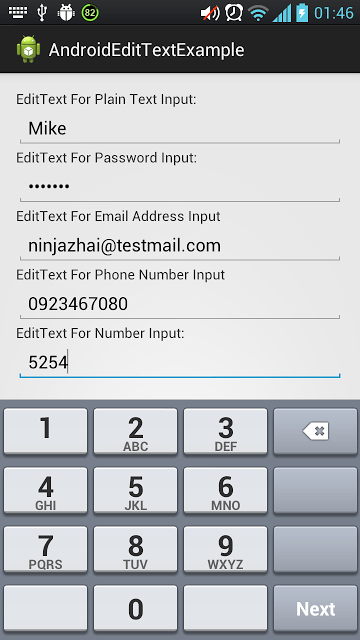 EditText in Android examples are simply like a text field, text area or a text input field in online forms. It is an editable TextView. 1.1 How to Create an EditText Programatically. 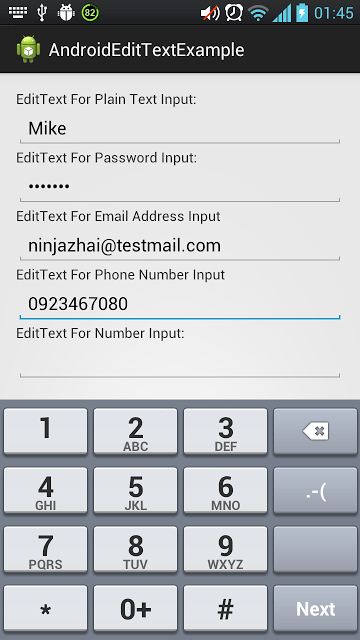 2.1 Set Maximum Number of Characters that can be Entered to an EditText. 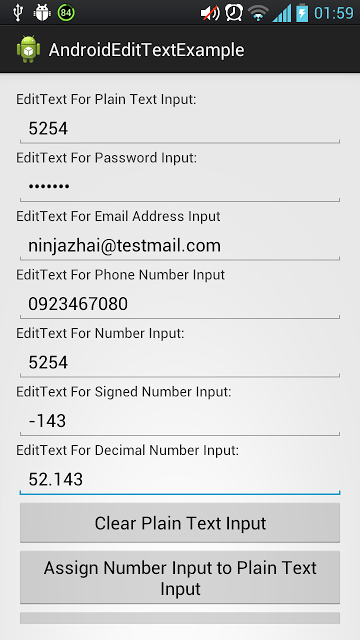 2.2 Set EditText to accept numeric characters only. 3.1 How Get Value from an EditText Programatically. 3.2 How to Assign Value to an EditText. 3.3 How to Clear Value of an EditText. 1.1 How to Create an EditText Programatically? 3.1 How Get Value from an EditText Programatically? 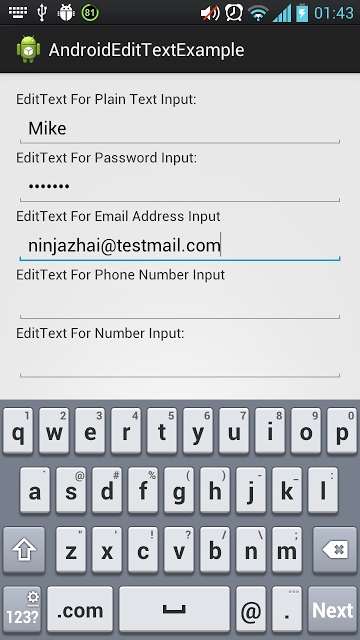 Tapping “Show Plain Text Input” button will show a Toast with value of our edittext for plain text input. 3.2 How to Assign Value to an EditText? Tapping “Assign Number Input to Plain Text Input” button will copy the value of our EditText for number input and put it to our EditText for plain text input. 3.3 How to Clear Value of an EditText? Tapping “Clear Plain Text Input” button will empty our EditText for plain text input and only show the “hint” we specified on the XML (in our example the hint is “Type who your are.”). Softkeyboard allows you to use any characters available. Softkeyboard allows you to use any characters available. The EditText field will show only black dots. Softkeyboard shows the @ and .com buttons this time. 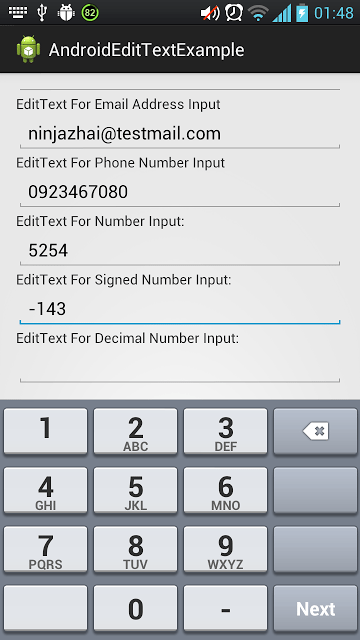 Softkeyboard allows you to enter numbers and any characters acceptable for phone numbers like *, #, -, etc. Softkeyboard allows you to enter only numbers this time. 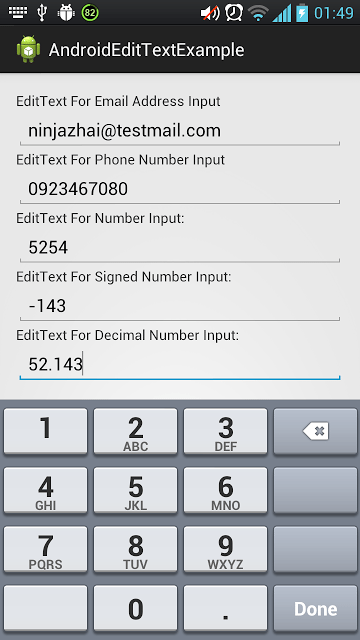 Softkeyboard allows you to enter numbers and negative sign. Softkeyboard allows you to enter only decimal numbers. Here’s the complete code for section 3. 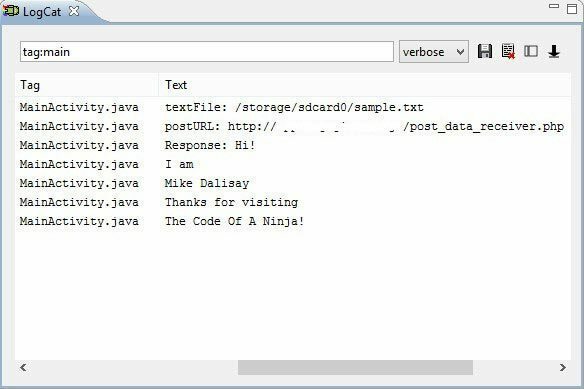 MainActivity.java – includes the button click listener to perform actions with the EditText. activity_main.xml – XML layout with EditText and buttons. You can get the source code by following the whole, well detailed and free tutorial above. But isn’t it more convenient if you can just download the complete source code we used, and play around it? 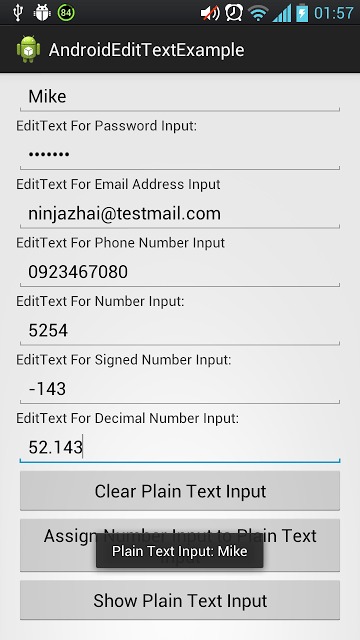 Thanks a lot for your support and thanks for reading our Android EditText Example codes! https://www.codeofaninja.com/wp-content/uploads/2016/06/codeofaninja-logo-100x100-op-80x80.png 0 0 Mike Dalisay https://www.codeofaninja.com/wp-content/uploads/2016/06/codeofaninja-logo-100x100-op-80x80.png Mike Dalisay2012-01-26 23:24:002015-09-07 19:43:3912+ EditText in Android Example Codes, Screenshots and More!